There’s nothing quite like being armed with ammunition when it comes to ringing up your Internet provider to complain of poor speeds and connection issues. Nine out of ten complaining broadband customers will be greeted with the standard advice of rebooting the router and monitoring the connection speed going forward. With that said, if you’re armed with the historical data that clearly shows your connection speed over a period of time, then there’s a greater chance of a reaction from the ISP. 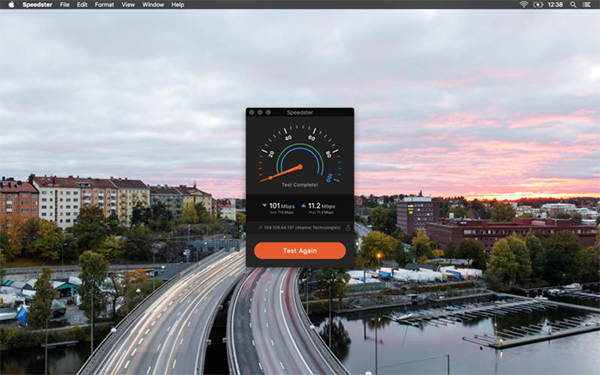 Speedster on the Mac App Store allows you to easily collect such information, but does so with a native app experience rather than being based out of an Internet browser. Many broadband users will often take instantly to speedtest.net – which is pretty much recognized as the de-facto standard for this kind of thing – in order to determine the levels of speed that they are receiving from their Internet service provider. Web-based services like speedtest.net are undoubtedly very good at what they do, but they do come with downsides such as being littered with ads and other visual elements that instantly detract from the overall experience. Some users don’t particular pay much lip service to those issues, whereas others simply prefer a more native app-based experience, which is where Speedster excels. The experience is built around a 100-percent native UI that has been built and imagined from the ground up for Apple’s OS X platform. The real benefit to the end-user being that it looks and feels like a very familiar app that you would normally interact with on a Mac. There’s also the fact that it’s bundled with a feature set that provides an accurate, and ultimately realistic determination of the broadband speeds that are actually being experienced through the connected network. Additionally, once downloaded, users aren’t required to install any additional plugins or components to get up and running. One single Mac App Store download is all it takes. Oh, and did we mention that it’s entirely free? 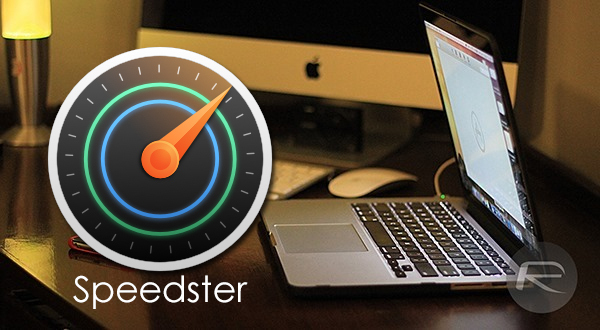 Speedster offers every user with three speed test runs for free on a daily basis. If there is a requirement for additional tests to be ran, then an in-app purchase can be unlocked for $3.99 which offers unlimited tests. Finally, results of those tests can be shared via social media. So if you have a blistering internet connection you can instantly brag about it to your connections. Conversely, if you have a terrible broadband speed, then you can arm yourself with the ammunition to lambaste the ISP involved. Only downside is it’s for OS X 10.11 and higher only at this point. I’ll have to wait to check it out after I upgrade.